Best set-top TV boxes 2018 What Hi-Fi? | What Hi-Fi? A digital TV box is a quick, easy and - let's not understate - affordable way to boost your TV's flexibility. But which is the one for you? It's almost certain to be one of these - after all, these are the best digital boxes around. They will let you do everything from watch and record digital TV to deliver streaming services like BBC iPlayer and Netflix. Voice controls, 4K content, split-screen viewing, and more – Sky Q truly is the future of TV. And its price reflects that. The 5000T builds on a solid run of five-star Humax products. 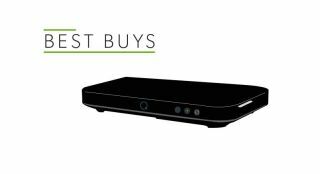 If Freeview is your bag, you can't go wrong at this price. With built-in wi-fi, all the standard catch-up services, impressive HD image quality and 5.1 surround sound, this Humax is the best option for Freesat customers. YouView is a fantastic budget option. It quickly - and cheaply - enhances your TV-viewing experience with minimum fuss. Some necessary updates have brought the TV 4K right up to speed and to the front of the streaming box pack.